The last couple of weeks have been a little bit of a writing struggle. Between traveling and work, I feel like I’m spending a majority of my writing time hoping that the words get written, but mostly just thinking about the to do list that I needed to conquer. Even right now I’m thinking about that to do list. 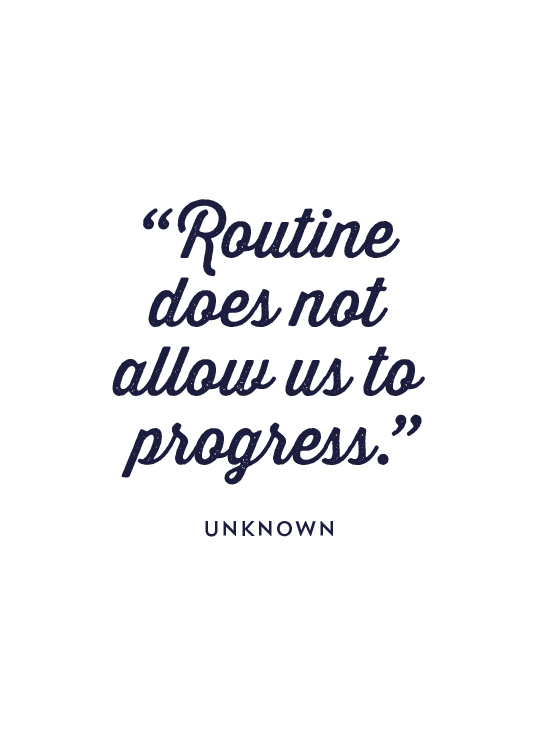 I read an article that talked about changing up your routine. This morning I woke up at my normal time, but instead of getting coffee and making my way to the office, I showered and got ready. Now, a little over an hour later, I’m sitting at my coffee shop and writing this post. I don’t know if it will work, and it isn’t a lifestyle that I can maintain long term, but here’s to trying something new on this lovely Tuesday. Hope all is well, writing is smooth, and that life is being good to you.